Batman & the Joker. Enough said. No point in reading any more of this review … But if you do choose to, I would actually suggest you go out and get yourself a copy of The Killing Joke instead, and read that. I have loved comics for a long time, but for most of that time my allegiance has been to Marvel. You can thank the X-men and Wolverine for that. But in recent years my interest in DC and other publishers has risen (Image, IDW, Dark Horse etc.). I don’t know whether it is due to the Dark Knight films or the Arrow TV show, or whether I am looking for something different, but I have found my recent foray into DC to be enthralling. The Killing Joke was the most recent graphic novel in my long list of ‘to read’ comics. It is a standalone story, never published as individual comics and created by the legendary Alan Moore (Watchmen, V for Vendetta) and Brian Bollard (Judge Dredd). It truly feels like Batman. It is gritty, dark, and gripping. Everything we have come to expect from the Dark Knight. The Joker is a classic villain. 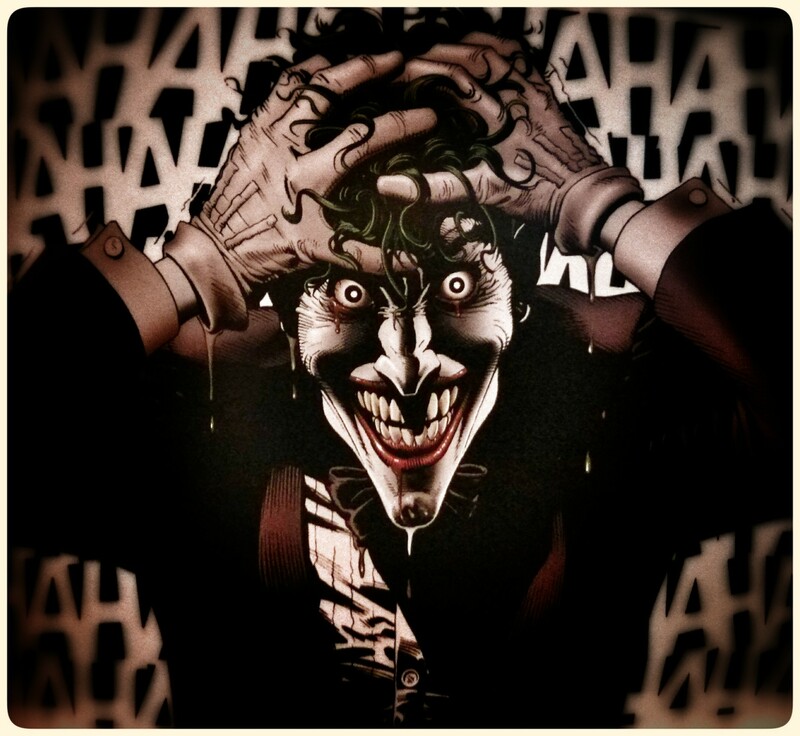 In The Killing Joke he is at his best. His dialogue is terrific. It was a joy to read. Batman really takes a back seat in this and it is a good thing, because this is a story about the Joker. We are provided with the Joker’s backstory. And this is what the graphic novel is about. The turning point which transformed an ordinary man into the Dark Knight’s most famous adversary. Make sure that you get your hands on the deluxe version in which Brian Bollard has re-coloured each panel to ensure the story is told as it was originally intended. The artwork is immaculate. Every scene draws your attention, making you study the figures and items in the background. I had to read it twice straight away to make sure I didn’t miss anything! That’s how good it is. I recently read the Dark Knight Returns, consider by most to be the single greatest graphic novel of all time. As great as it was, I enjoyed The Killing Joke more. I actually can’t really flaw it. I was sad when it ended, that is the only thing I can say. I wanted it to keep going. I don’t want to spoil anything but I highly, highly recommend. This entry was posted in Reviews and tagged Alan Moore, Batman, comics, DC, Reviews, The Joker, The Killing Joke by blottingaway. Bookmark the permalink.